Great ecommerce starts with great design. We understand how customers use ecommerce solutions, and use this knowledge to develop engaging user journeys for your website visitors. 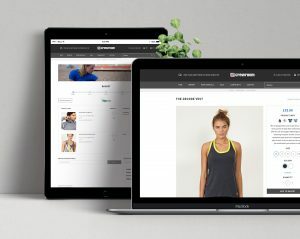 PureNet is an expert Ecommerce Agency, our extensive experience in working on and developing website platforms makes us uniquely qualified to deliver solutions for UK's leading retailers. Our ecommerce solutions often have a lot of complex integrations running behind the scenes. Our job? To ensure integrations run so seamlessly you wouldn't even know they're there. PureNet delivers feature rich commerce solutions across all devices, allowing you to offer a seamless, engaging experience for your customers at all times. PureNet will help you choose the best platform to fulfil your business goals, safe in the knowledge your platform will support you every step of the way. 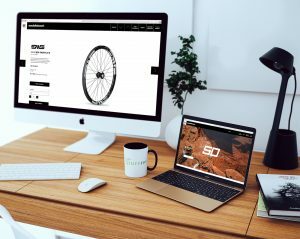 Easily update, manage and maintain your website and promotional activity with an easy-to-use Content Management System. PureNet's expert team will advise and set up integrations with third parties to create a seamless user experience for your B2C and B2B customers. PureNet will help you implement new ecommerce website to enable you to optimise your sales. Providing integration consultancy, we will secure seamless user journeys for your customers so that you can maximise the impact of your omnichannel strategy. Our holistic offering encompasses ecommerce website design, consultancy services as well as developing B2B ecommerce and B2C ecommerce solutions. Implementing these, we will help you reach wide audiences and grow your business. Integrating with AI-driven machine learning systems, such as PureClarity, you can create segments and meaningful user experiences to optimise user journeys. 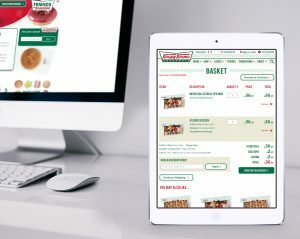 Our aim is to deliver seamless solutions that offer highly engaging customer experiences and ultimately increase your online sales anywhere, anytime, and not just for today. The ecommerce solutions we deliver are built to stand the test of time, ensuring you are innovating now and in years to come. PureNet has been delivering award-winning ecommerce solutions for both B2C and B2B clients for over a decade. We understand what it takes to deliver a solution that is innovative, functional and most importantly focused on conversion. Discover award-winning ecommerce with PureNet.